Gargee A. Patel, O.D. provides comprehensive eye care to adults and children, and particularly enjoys fitting specialty contact lenses in “hard-to-fit” patients. Dr. Patel received her Doctorate of Optometry from the Pennsylvania College of Optometry where she was a member of the Gold KeyOptometric Honor Society. 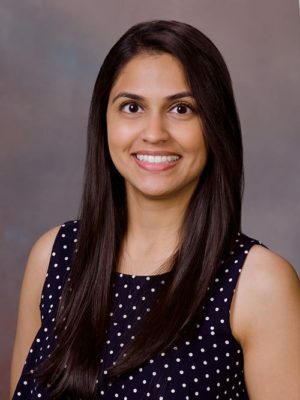 She also completed a rotation in pediatrics and binocular visual efficiency & processing at The Eye Institute in Philadelphia, PA. She completed her undergraduate studies at James Madison University in Harrisonburg, VA. Dr. Patel is a member of the Virginia Optometric Association and the American Optometric Association. Undergraduate studies at James Madison University in Harrisonburg, VA.